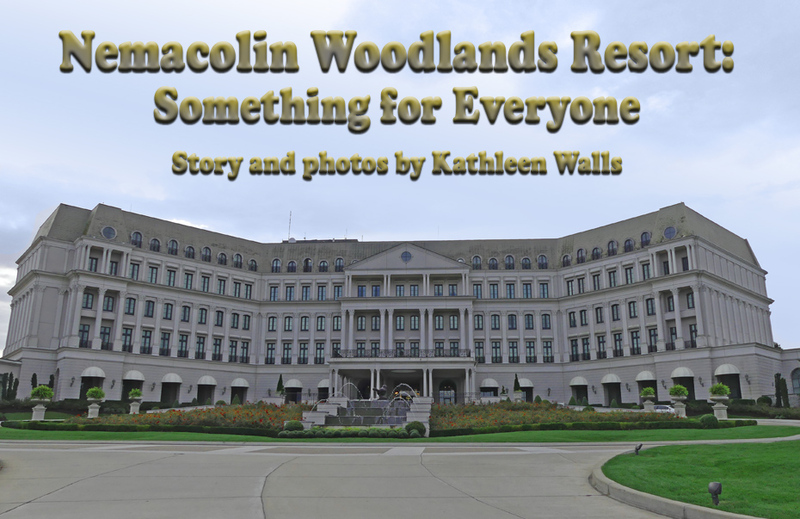 Nemacolin Woodlands Resort located on 200,000 scenic acres in the Laurel Highlands of Southwestern Pennsylvania can fulfill all of your dreams. 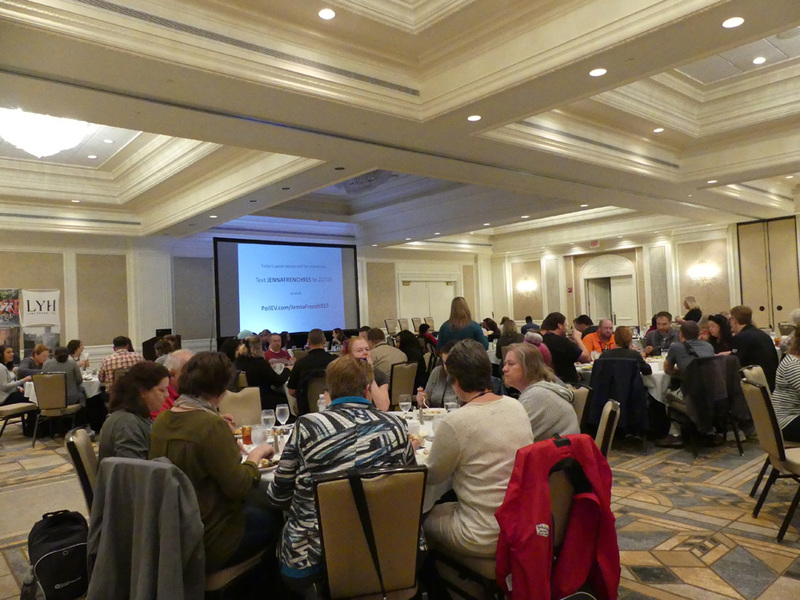 We stayed there last year for a Mid-Atlantic Travel Public Relations Alliance (MATPRA) Convention. This is far beyond its five-star rating. It's more than a hotel. It's a resort in the broadest sense of the word. Do you crave luxury treatment? Yes, it's here. Would you rather play golf? Sure. How about adventures? Lots of that. Need the nerve tingling feel of a casino to be happy? There's one of those here? But you say, "I want a comfortable room and good dining." 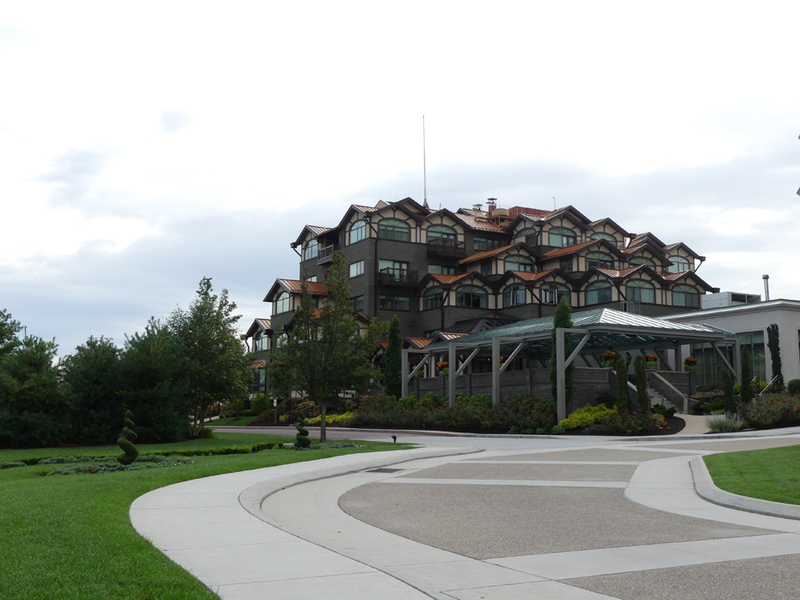 Nemacolin Woodlands Resort covers that completely. It would probably take about a month to experience everything at the resort but here is a bit of what I did see and do. 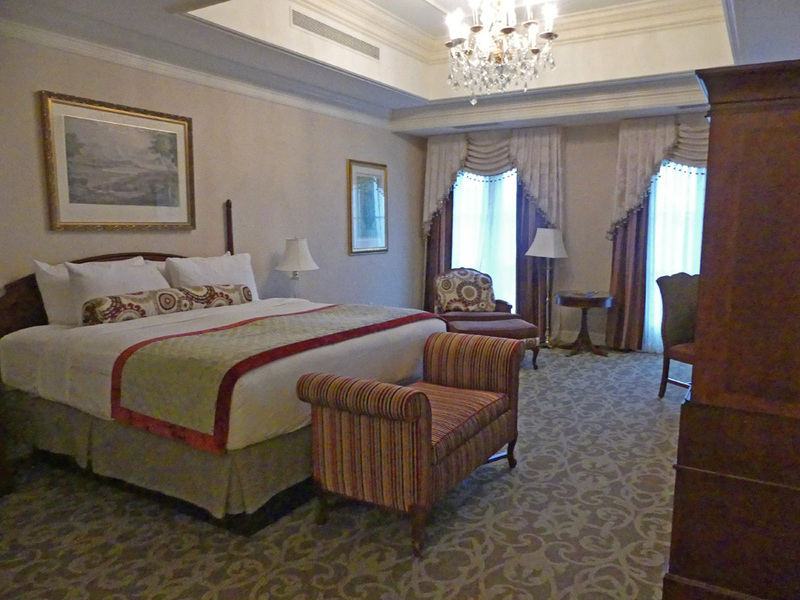 To start with you have multiple choices for your lodging at Nemacolin Woodlands Resort. We stayed in Chateau Lafayette. Magnificent upscale hotel modeled on the Ritz in Paris, France. It does transport you to Europe at its most elegant. 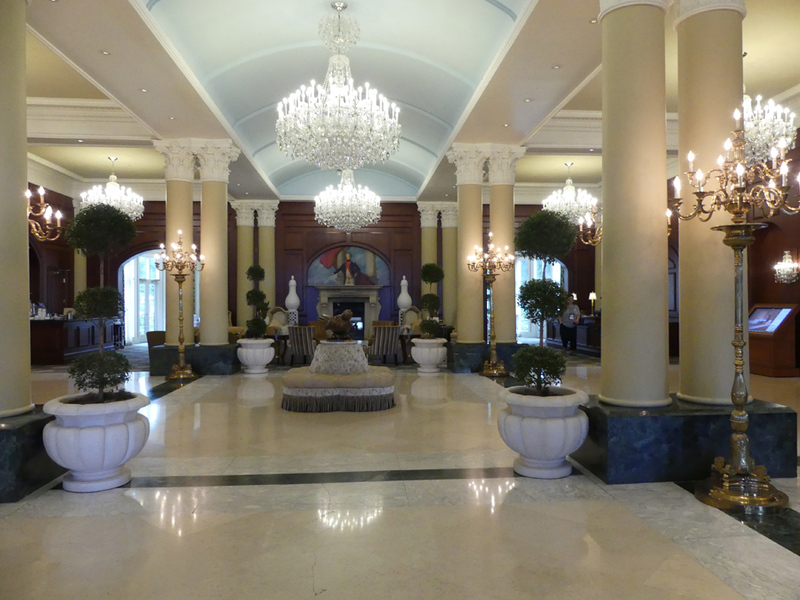 I was treated like visiting royalty from the moment I stepped into the massive lobby. The crystal chandeliers, embellished columns, lofty ceiling, marble tile floors and elegant drapes felt as if I were entering a palace. However, the desk clerks treated me more like I visiting an old friend. They processed all of us quickly and then off to my room. As I passed the opposite side of the lobby I saw a bar set against dark paneled walls. It was preparing for the upcoming cocktail hour. My room was another treat for tired eyes. My king bed sat centered against one wall midway between the large bath with its jetted tub and the two ceiling to floor French doors opening to a small balcony. On the opposite wall were all the necessary accommodations, a spacious desk with plugs and instructions as to how to access the free WiFi, an entertainment center housing a big flat screen TV. As a tea drinker, I was happy to note that there were several kinds of tea bags along with the usual coffee maker. So many hotels miss that one little bit of welcome. Not Nemacolin Woodlands Resort; for those of us who do not drink coffee that small tea bag is so appreciated. Just next door The Lodge offers a more English rather than French style with a impressive Tutor style building. In addition there are Falling Rock, more of a boutique hotel, several Luxury Vacation Homes, Townhomes and even some pet-friendly townhouses. The Nemacolin Wooflands Pet Resort & Spa offers a spa and veterinary service for your four-legged friend if needed. 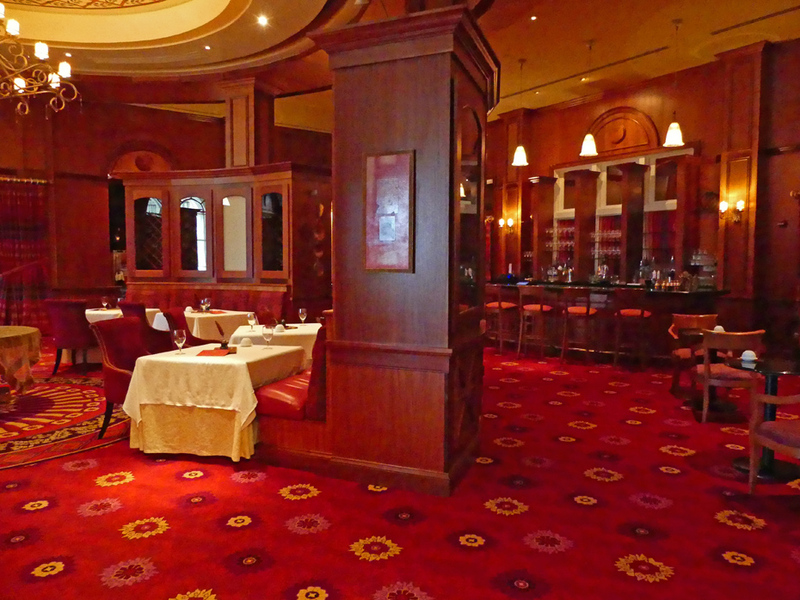 Each of the hotels at Nemacolin Woodlands Resort has restaurants in them. At Chateau Lafayette the fine dining is Lautrec’s. Due to a busy schedule I didn’t get to sample the food but it smelled delicious and looked inviting when I passed by it. There is a Moulin Rouge style and naturally there are several of Lautrec's lithographs in the hall. In fact, there is art everywhere you look here. Walking through the hall is like a stroll in an art gallery. 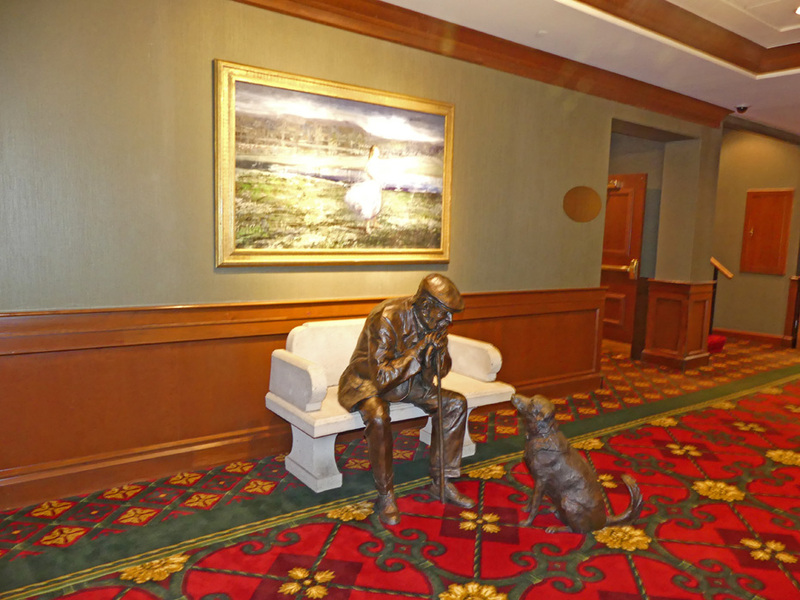 One of my favorites was a gentleman and his dog in bronze. There is even The Pantry in case you want to picnic on the grounds. The area behind the Chateau Lafayette is filled with gardens and statures. Naturally there is one of Lafayette. It would be a perfect place for a picnic. Maybe after you enjoyed a relaxing trip to their spa. Since I was here for a conference I got to experience one of their conference rooms personally. It had every amenity you could wish for; spacious, well arranged table and chairs and a big screen for video. The big thrill was that we each picked one of the fun activates the resort offers. Naturally there are golf courses. That is really big. There's something for fishermen as well. There are ziplines, off-road riding, a shooting range, a casino, art classes, in winter there are snow sports and so much more it made a choice hard. I finally decided on the Wildlife Adventure Safari Tour. This was no stroll through a zoo. It was a hands-on and learning experience. 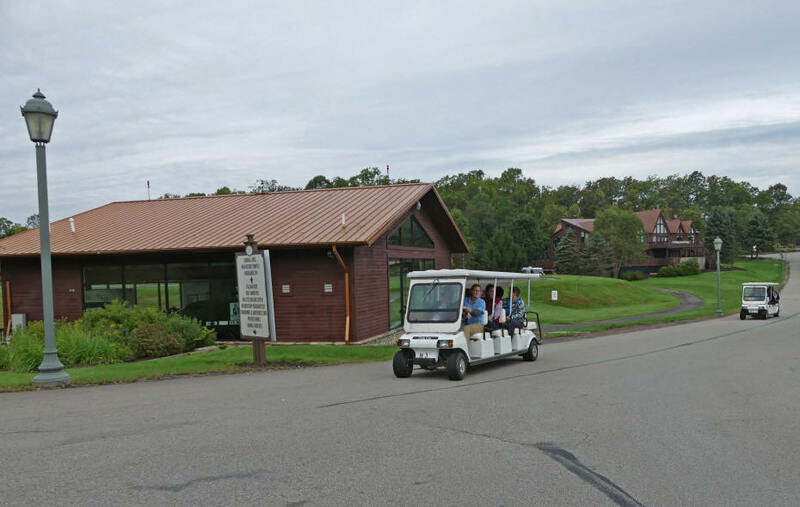 We began at the Wildlife academy where we boarded a golf cart for our trek into the wilderness. We began with the barnyard animals; donkeys, cows, goats, sheep. We got to meet them and feed them. Our guides gave us a lot of facts about the animals including names and personalities. 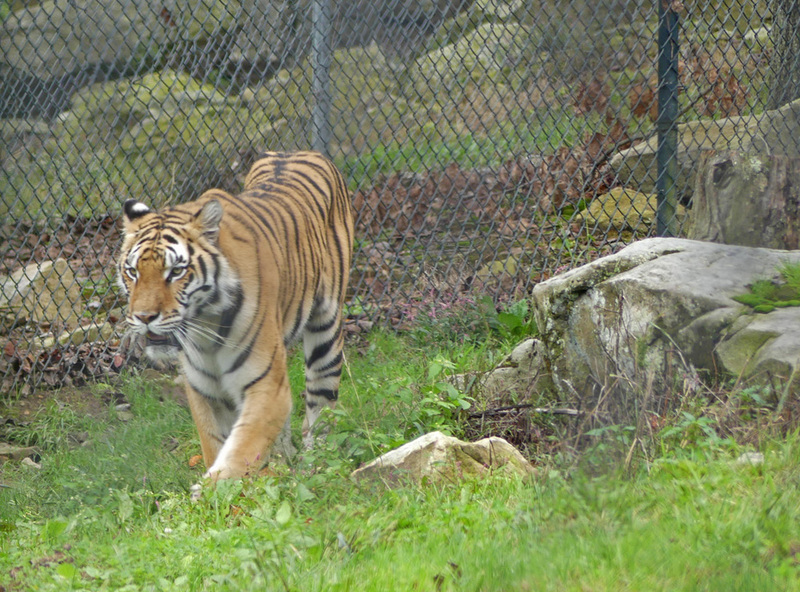 Next we moved to wilder country and visited the tigers. Our guides explained why the two tigers are kept separate. They did have some access to one another through a fence. There is an inside and outside area. The new younger tiger around four or five and the older larger female tiger will be allowed together soon after they get more used to one another. The striped are a camouflage in the wild and each one is different. Their noises are different depending on their moods. Keneug is the male's name and Dandi is the smaller female. We did get to feed here but much more carefully using a chute to deliver the food. We moved on to the lions. In spite of being king of the jungle, they really are kind of lazy and sleep a lot. The females do all of the work. Typical male. 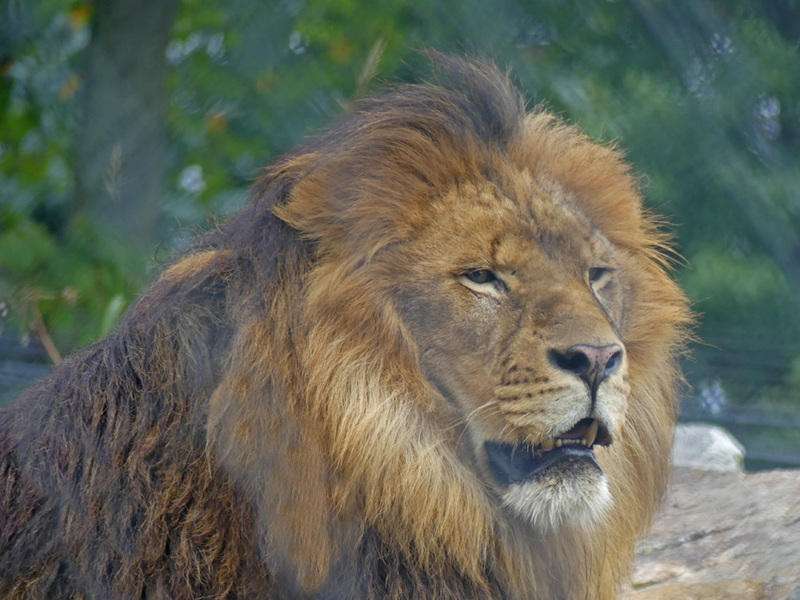 I mean male lions, of course. Our next stop combined a bit of history and lore. 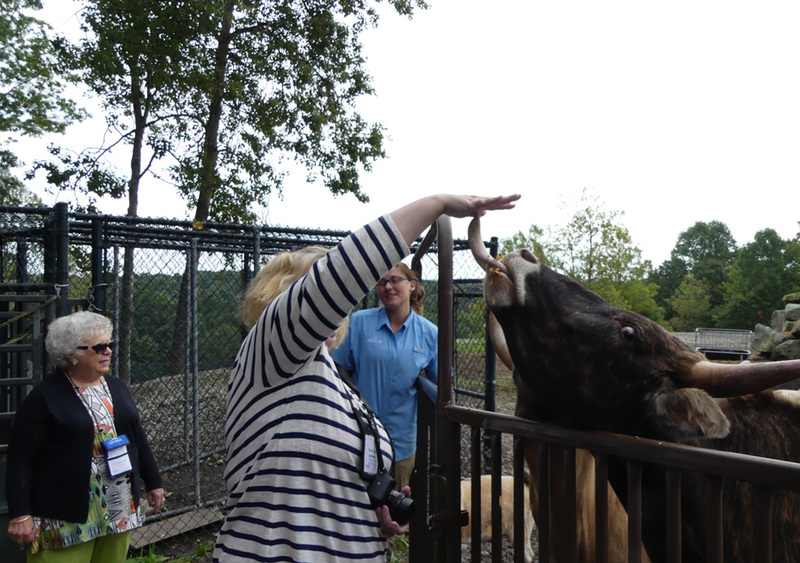 We visited with Lighting, a male white bison, and Thunder the female. Native people worship the white bison. They later found Lightning is part beefalo. 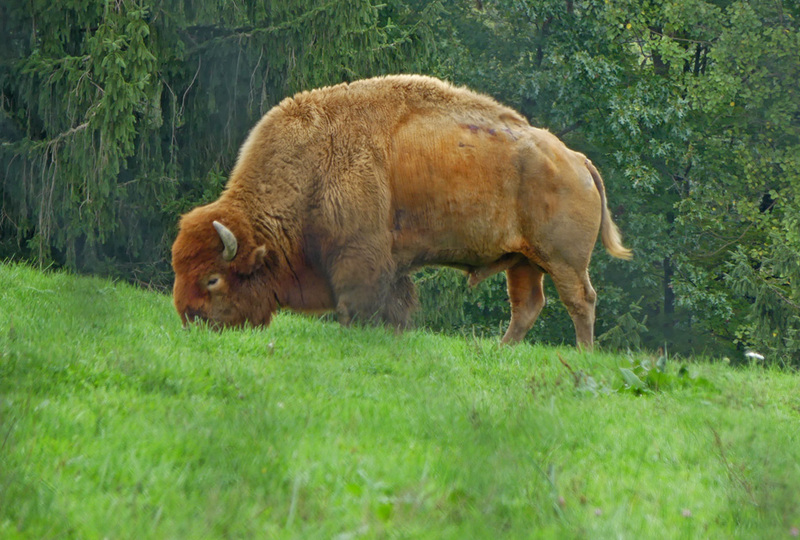 The legend behind the story is that the white bison saved the native people. One ancient story is that a woman came to them and turned to a white bison and saved them from starvation. The white bison supposedly changes color during its lifetime representing the four colors of man–white, yellow, red and black. 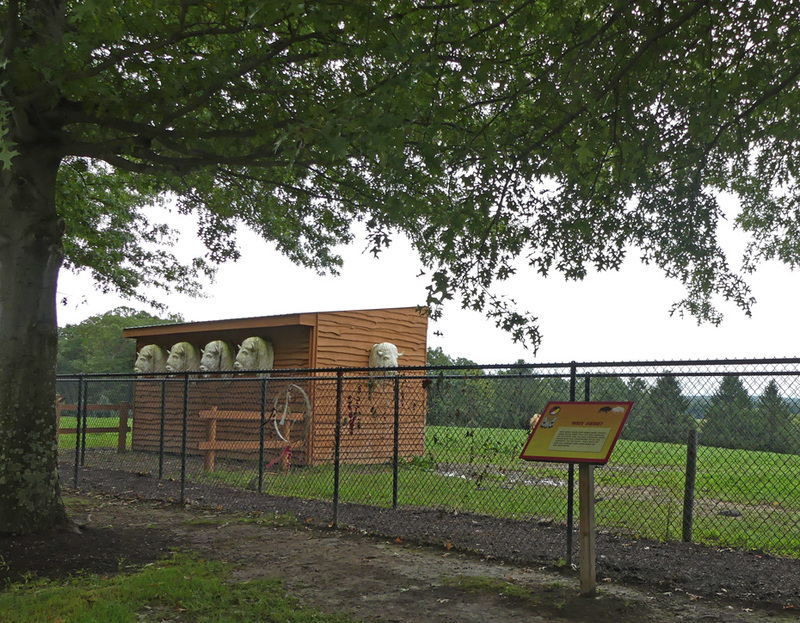 There were many offerings along the fence from Native Americans when we visited. They often visit in late November because that is Lightning's birthday. 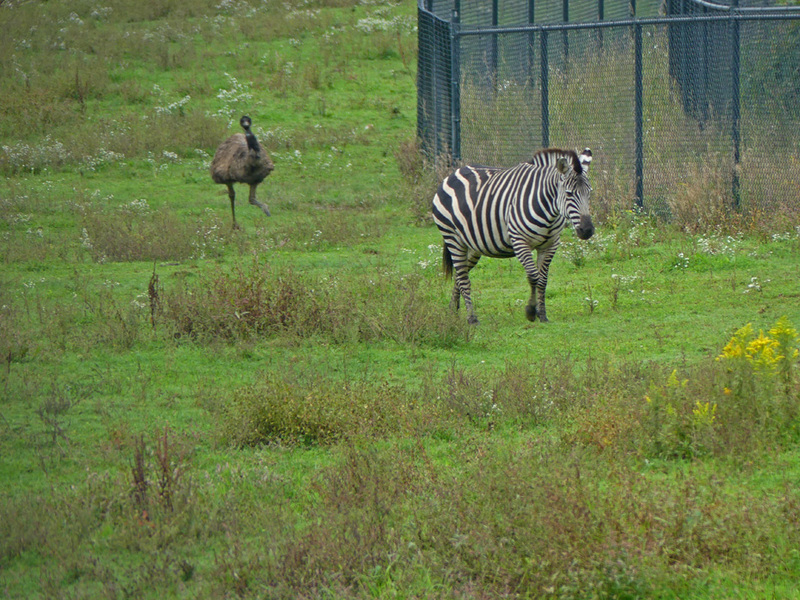 The second largest enclosure had emu's, zebras. Knowing we had food they came over to greet us. The bears were a special treat. 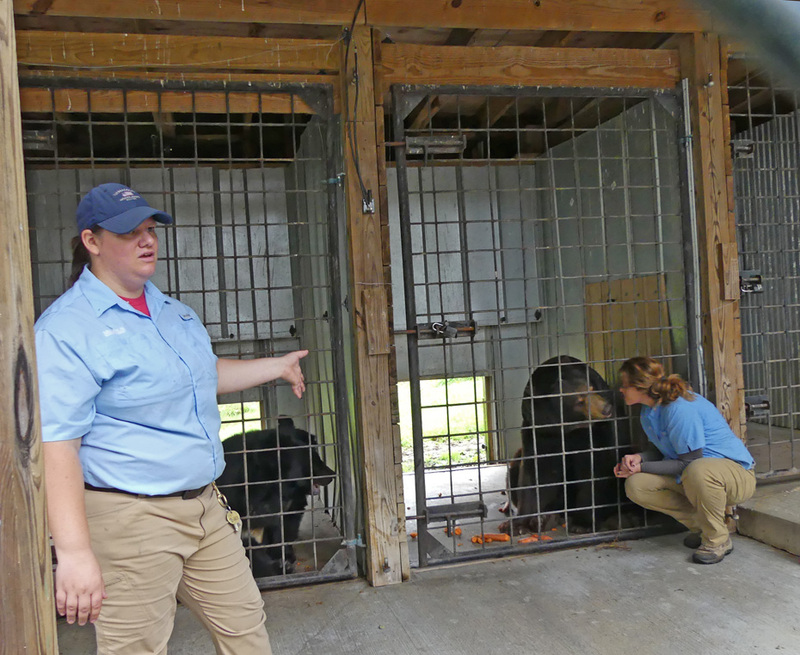 It's obvious they loved our guides as both bears came and even let them pet and touch them. Rocky, a large black bear, put on a show for us by greeting us with a loud growl. JoJo, the female, was quieter. They get along well and play together. I could have stayed much longer here and found something new and exciting to do each day. We ended the day happy but tired. 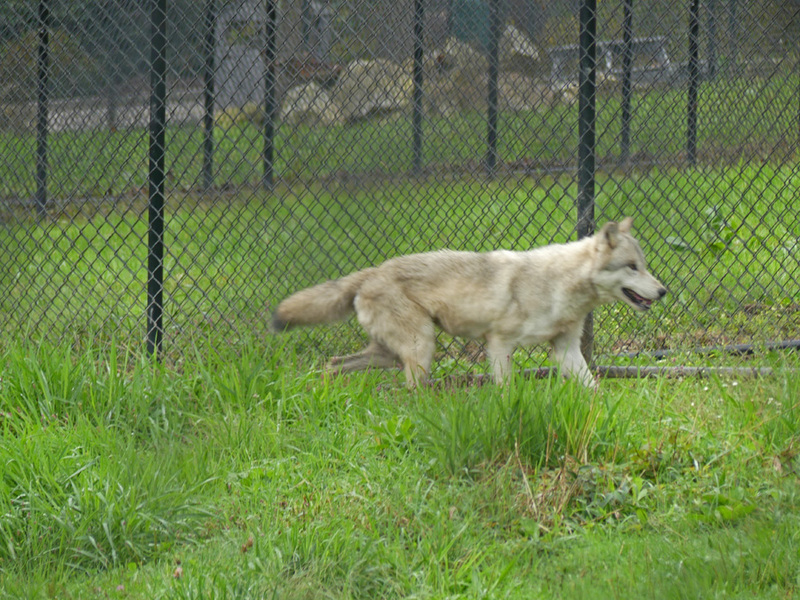 We had met the wolves, badgers, and so many other fun animals here. 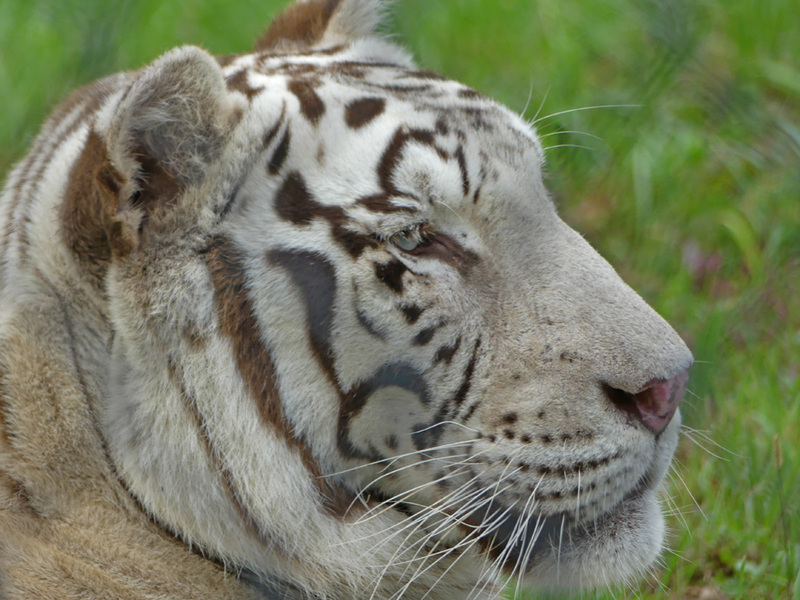 Even a white tiger named Kato.